Physiotherapists are direct-access practitioners, meaning patients can visit physiotherapists directly (self-referral) without waiting for a physician referral. Physiotherapy Alberta believes self-referral benefits Albertans by providing them more choice, improved access to care, faster recovery and reduced health care costs. 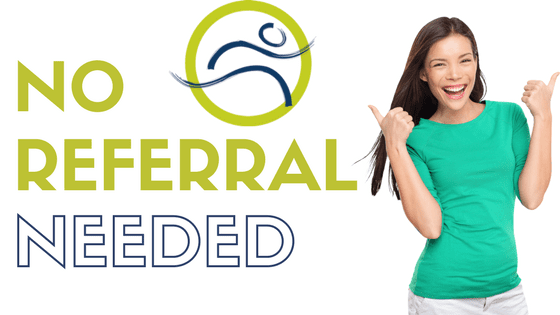 Physiotherapy self-referral benefits both patients and the health care system. Patient benefits include high levels of satisfaction and confidence, more choice and faster access to care. While clinical outcomes (e.g., pain) are similar between self-referred and physician-referred patients, the self-referred patients miss less work and fewer remain off work in one month. Self-referred patients also use less prescription drugs, have fewer x-rays and require fewer visits to their physician. Health care costs for self-referred patients are between 36-137% lower per episode of physiotherapy care. Self-referral success signals that physiotherapy services be the first point of contact for Albertans with musculoskeletal (msk) conditions. Opponents of self-referral point to increased utilization of service and missed medical diagnosis as potential risks. To date, these risks remain unfounded. Self-referral does not lead to increased overall number of treatment visits or increase the number of patients accessing physiotherapy. In fact quite the opposite; in some countries the number of treatment visits decreased with self referral. Likewise there is no evidence that physiotherapists are missing serious medical conditions. Physiotherapists use effective strategies to screen self-referred patients and provide timely and appropriate referrals back to medical doctors. Physiotherapist’s diagnostic ability for musculoskeletal conditions is equivalent to physicians. In one study, 96% of British family physicians were confident or very confident in physiotherapists’ ability to diagnose and manage msk conditions. Self-referral benefits have already driven policy change, enabling physiotherapists to be the first point of contact in the UK, the Netherlands, Australia, and in some US health plans. Also, both the Canadian and American military implemented physiotherapy self-referral for their personnel. In Alberta, physiotherapists can legally assess and treat without a physician referral. However, many existing third-party funding policies still require a physician referral before patients can access or be reimbursed for physiotherapy. Such polices limit Albertan’s choice to access the most appropriate provider and may delay recovery and add costs by requiring they see a physician first. Physiotherapy self-referral success is compelling. Evidence shows the benefits significantly outweigh any risks. Physiotherapy Alberta believes that physiotherapy services should be the first point of contact for many Albertans and is committed to working collaboratively with health care policymakers on ways to eliminate existing barriers that prevent physiotherapy self-referral. Visit Physiotherapy Alberta’s Website for more information.